What Boston Beer’s Volume Declines Tell Us About Craft Beer	|	Food and Beverage Marketing, Advertising and Branding | Brightly creative. | A craft marketing, advertising and branding agency focused in the food and beverage industries. As expected, Boston Beer Company’s 2017 financial results failed to impress analysts and continued to spotlight some fundamental flaws in the beer industry. In my opinion, the most foreboding number from the company’s 2017 results: 3.8 million barrels shipped. That may seem like a lot of beer, but it’s actually a 6% decline from the prior year. That’s not good. On the analyst call*, the company’s founder and icon, Jim Koch, listed three causes for the company’s underwhelming performance. For anyone in the beer industry, this is not a revelation. The number of beer drinkers is declining while the number of new breweries is increasing. This dichotomy has impacted every facet of the beer industry, from bars to tap rooms to retail shelves. And then we have the consumer, who is as fickle as ever, as I’ve wrote about previously. Craft beer drinkers want options, from beet root saisons to Czech pilsners to spontaneous ales to hazy IPAs. Boston Beer makes really good beers, but are those beers even an “option” for craft beer drinkers anymore? It’s hard for me to imagine myself buying a 6-pack of Boston Lager at the store. Why? I’ve had it, I know what it tastes like and I want to try something else. Plus, if I’m in the mood for a great lager, I’m going to buy one from a local brewery. That’s a big problem for Boston Beer. Without brand loyalty from craft beer drinkers, Boston Beer’s only path to reversing falling volumes is through convincing light beer drinkers to upgrade. Unfortunately for the company, the only consumer loyalty in the industry is with beer drinkers that refuse to order anything but their Bud Light. Can beer be innovative anymore? The only other paths forward are through packaging and product innovation. Packaging innovation can provide a short-term boost, but it’s not a strategy for success, it’s a tool to spike sales. 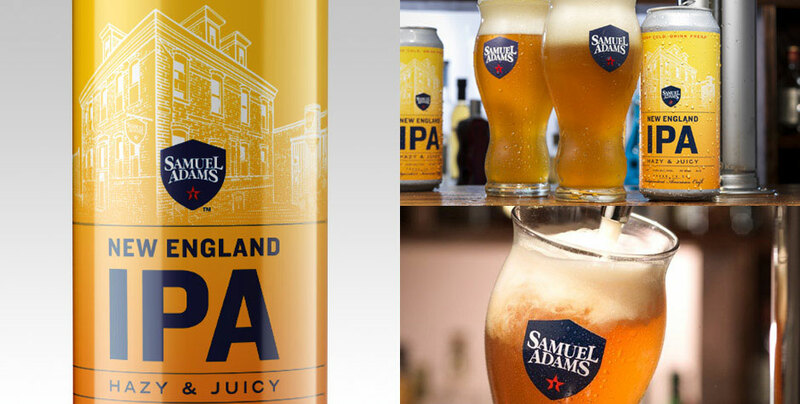 Product innovation can make a long-term impact, but are craft beer drinkers willing to give Boston Beer’s new products a shot? 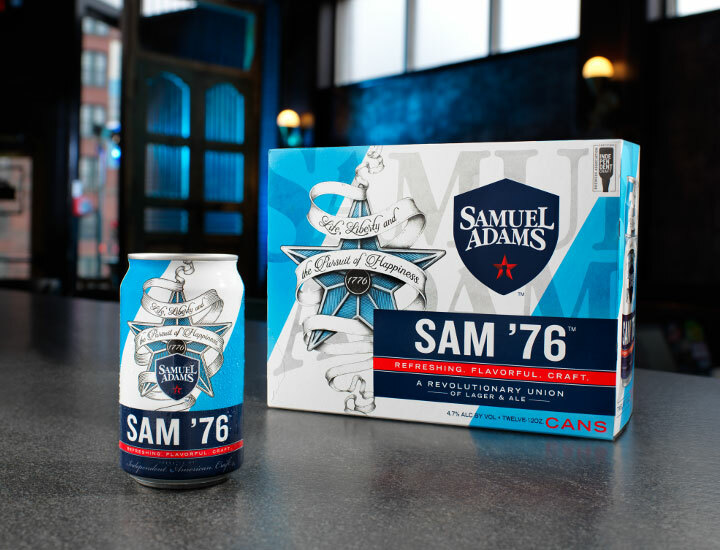 The company hopes so, and is banking quite a bit on two recent releases: Sam ’76 and New England IPA. I haven’t had either, and again, that’s the problem. Sam ’76 seems right up my alley. An experimental beer using lager and ale yeast strains. Sounds unique, which is what I love about craft beer. I also love juicy, hazy New England IPAs. But I haven’t tried Samuel Adams’ version because some of my favorite local breweries like 2nd Shift Brewing and Narrow Gauge are creating amazing East Coast IPAs. And, as I’ve said many times throughout this blog, that’s a big problem for Boston Beer. It’s not that the #2 largest craft brewery in the country is making mediocre beer. It’s that craft beer enthusiasts are opting for more local or unique options. I’m going to change that today. I’m going to go pick up a six-pack of Sam ’76 and New England IPA and give them a fair shot. I may even write a review about it. *A brief digressions about transcripts. I love them. When I was researching this blog post, I stumbled on the transcripts of Boston Beer’s earnings calls. There it was, in all its glory, a word-for-word documentation of everything said during the call. Probably seems like a given today, but 19 years ago, it was impossible to find this type of information unless you did it yourself. In my first job, I reported on the business of baking. I listened to countless quarterly earnings calls of the biggest bakeries in the United States. I did my best to take notes while grasping financial concepts that were foreign to my 22-year-old mind. My first boss and journalistic mentor, Ed Lee, stressed the importance of listening to these analyst calls. This is where the real information came from. As a good and terrified assistant editor, I obliged, recorded the calls and transcribed what I heard in an effort to understand and provide a worthwhile analysis beyond what was in the official press release. This process took hours and hours, all for maybe 4-inches of space in a monthly magazine. But it was necessary and important to my readers. 18 years later, finding a complete transcript in about 12 seconds was an absolute joy.